Found this werewolf in a toy store. The packaging says for ages 3-8 years, but really, do you think this is the sort of thing you would give to a 3 year old? Yes, the 3-8 years labelling is probably about safety guidelines for the product. I still think it is marketed at the wrong age bracket. 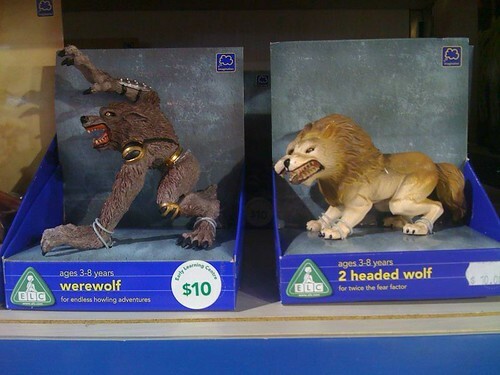 This entry was posted in Photos, Shopping and tagged child, photo, Shopping, toy, werewolf. Bookmark the permalink.